nee Blakely. 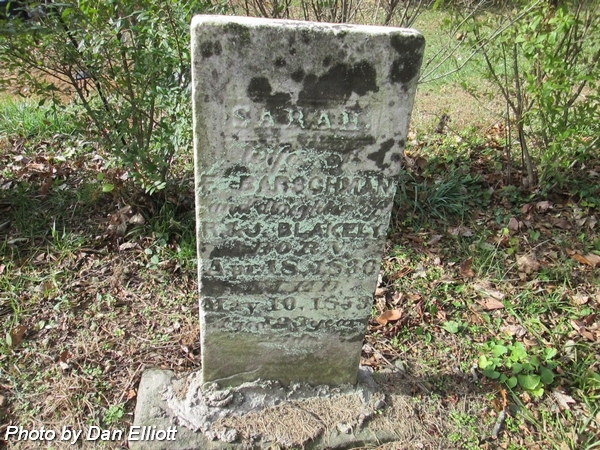 Wife of Frederick Barschman. 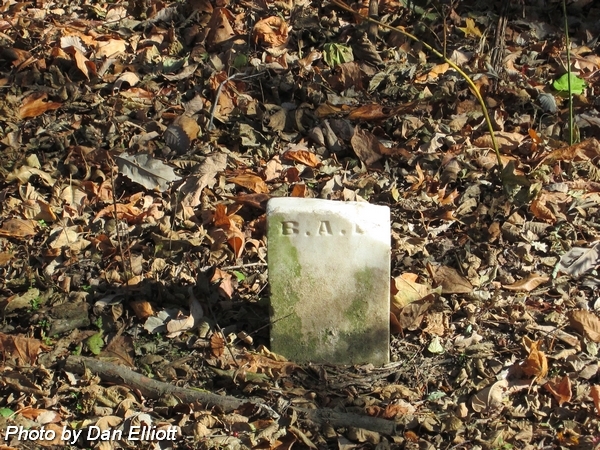 Married 6 Jan 1851. 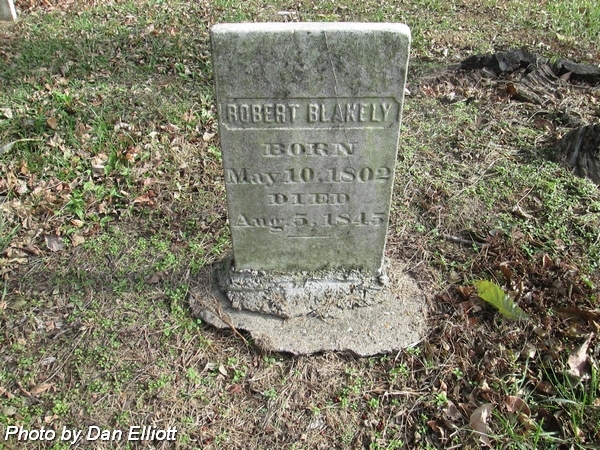 Daughter of Robert & Jane Blakely. Aged: 23 years 22 days. Note: Husband's surname has been indexed as "Marshal" in some online marriage records. 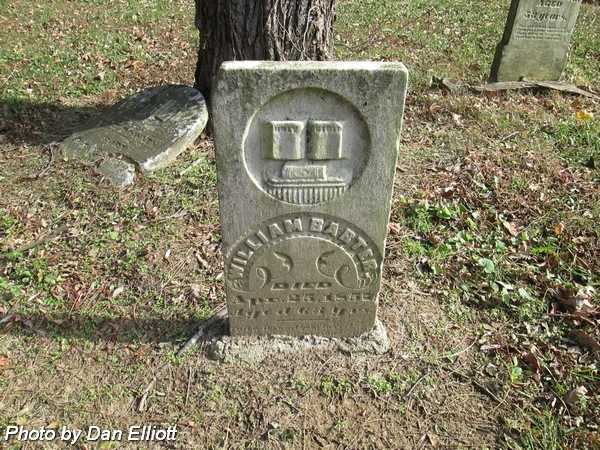 Husband of Elizabeth (Downen) Barter. 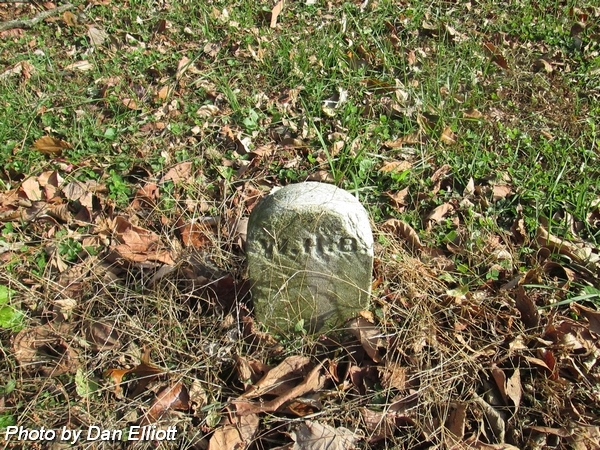 Married 16 Nov 1826. 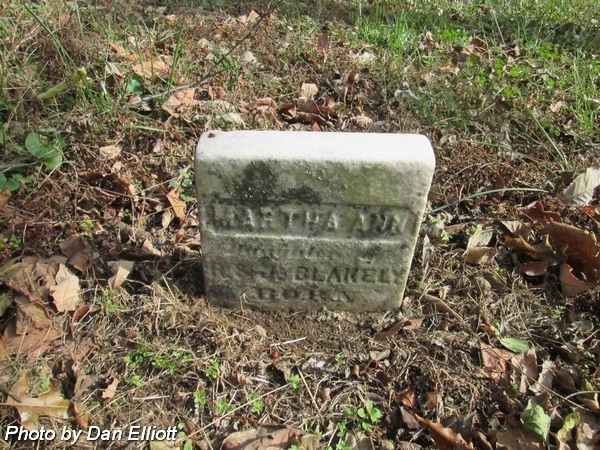 Son of John & Martha Ann (Foote) Barter. 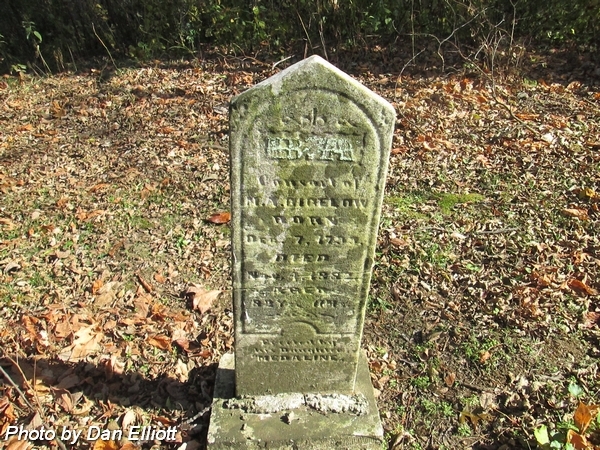 Aged: 82 Yrs 11 Ms.
"Erected by his daughter Medaline." Note: This daughter married Irvin T Record on 25 Oct 1898. 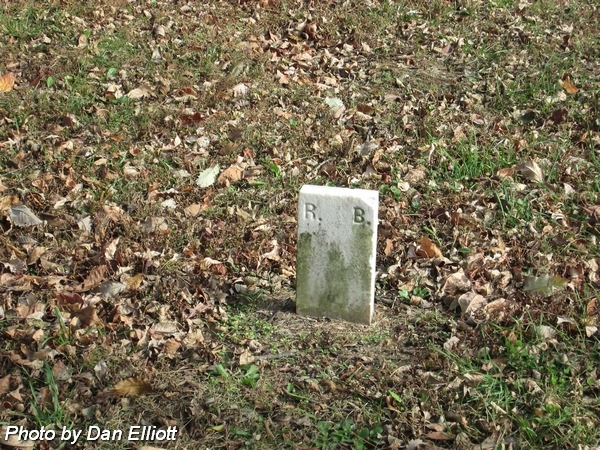 Son of Burkley A & Mary A (Smith) Bigelow. Aged: 17 Y's 10 M's 25 D's. 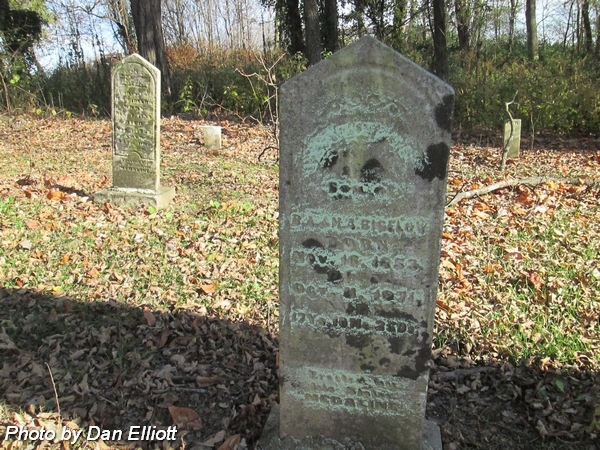 "Erected by his sister Medaline." 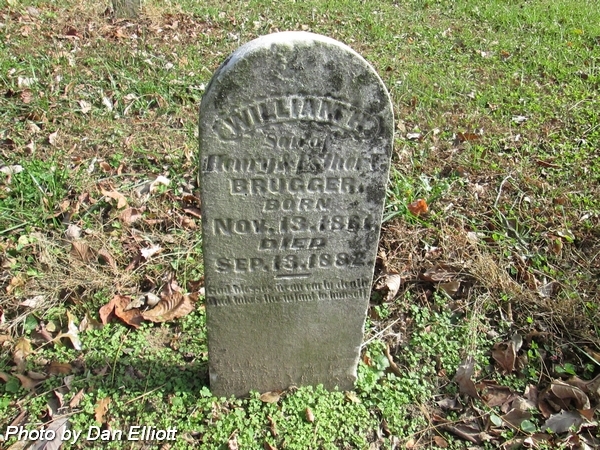 Son of Henry & Esther V (Utley) Brugger. nee Barter. 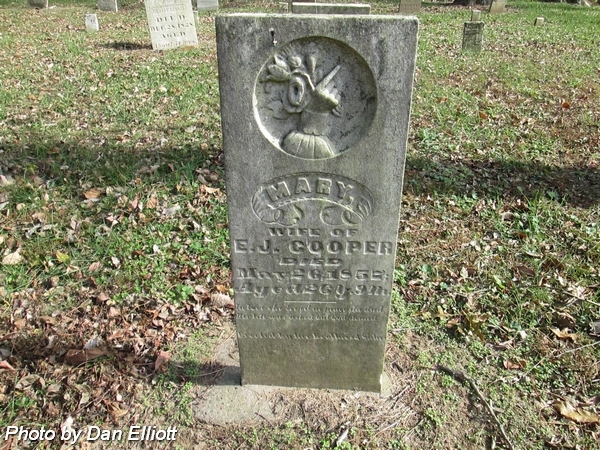 Wife of Ebenezer J Cooper. 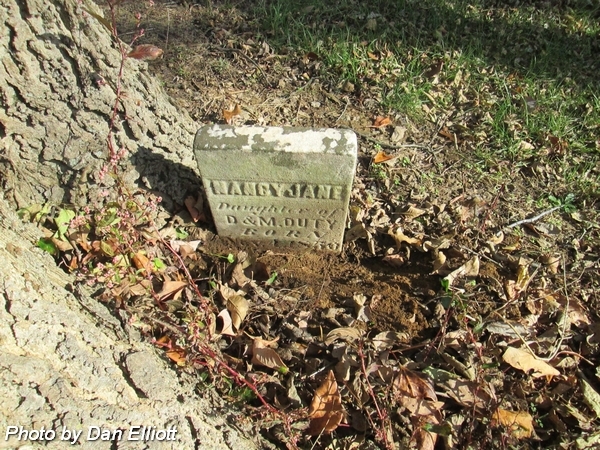 Married 2 May 1854. Aged: 26 Y. 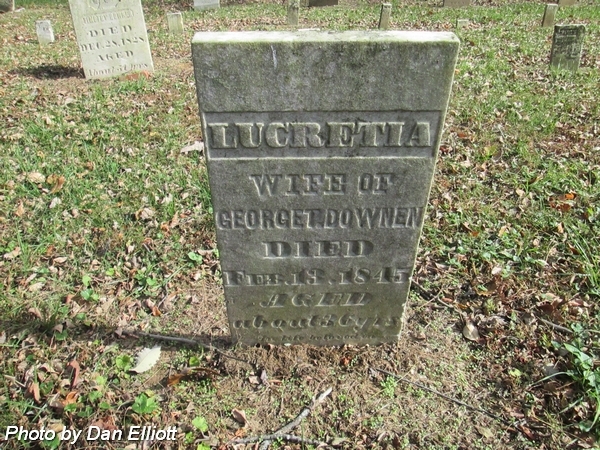 9 m.
"Erected by her Brothers & Sisters"
Husband of Lucretia (Culley) Downen, 1st, married 27 Oct 1825; & seocnd husband of Anna (Owens) Givens Downen, 2nd, married 23 Jan 1846. 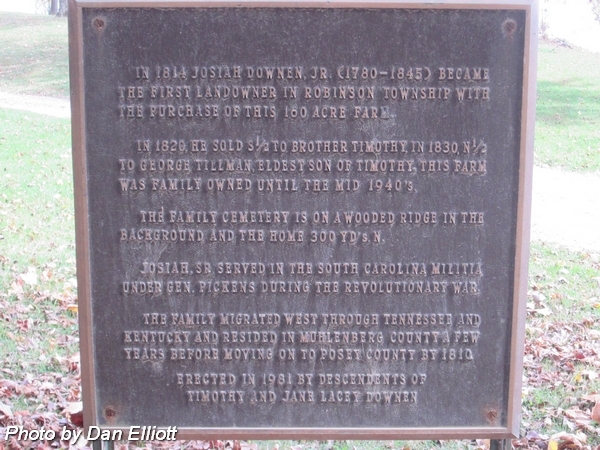 Son of Timothy & Jane Lacey (Brice) Downen. nee Brice. 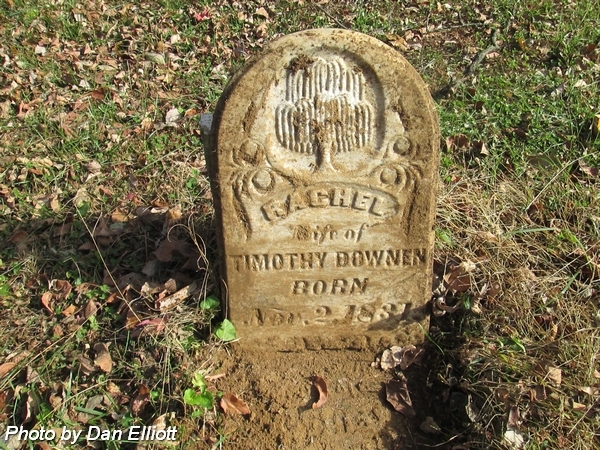 Wife of Timothy Downen. 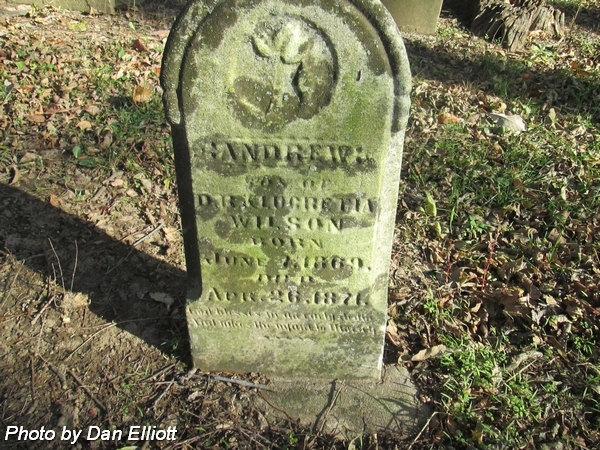 Husband of Rebecca (Stephens) Downen, 1st, married 21 Nov 1833; & second husband of Mahala (Ohda) Wilson Downen, 2nd, married 25 Dec 1845. Aged: 57 y'rs. 3 mo's. 12 d's. 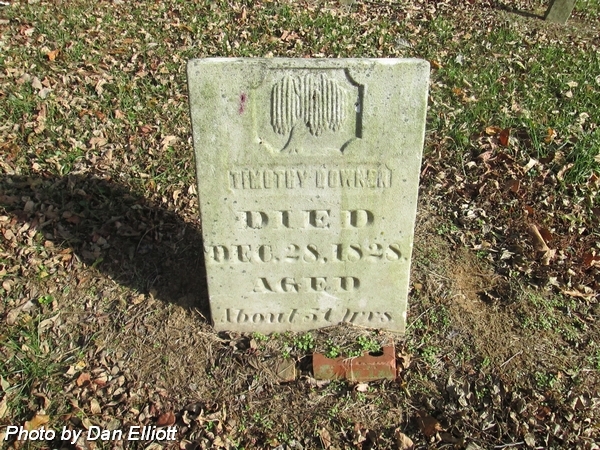 Daughter of George Tillman & Clarrissa (Allyn) Downen. nee Culley. 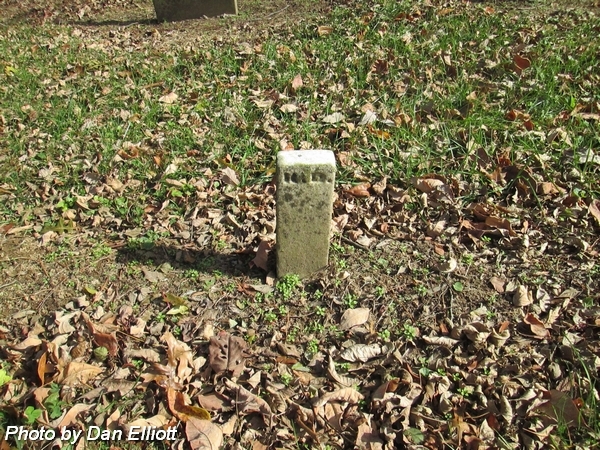 First wife of George Tillman Downen, Sr. Married 27 Oct 1825. 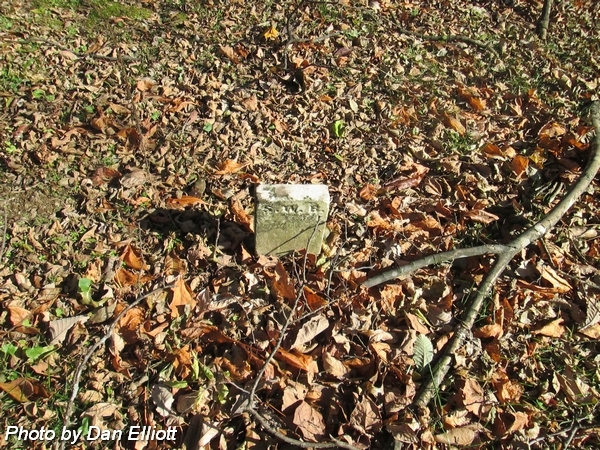 Daughter of Thomas & Elizabeth (Canaday) Culley. nee Ohda. 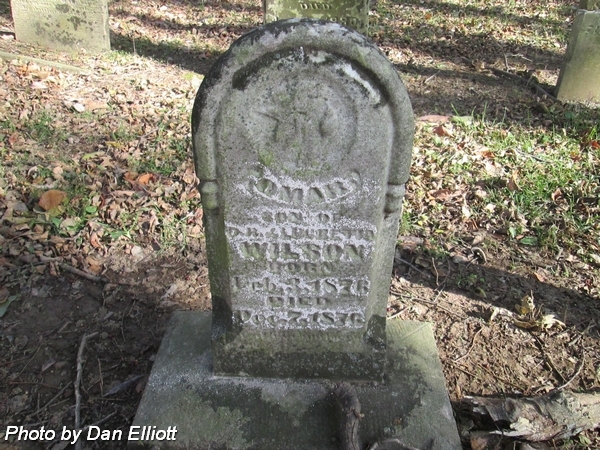 Wife of Andrew Wilson, 1st, married 7 Aug 1834; and second wife of John Downen, 2nd, married 25 Dec 1845. 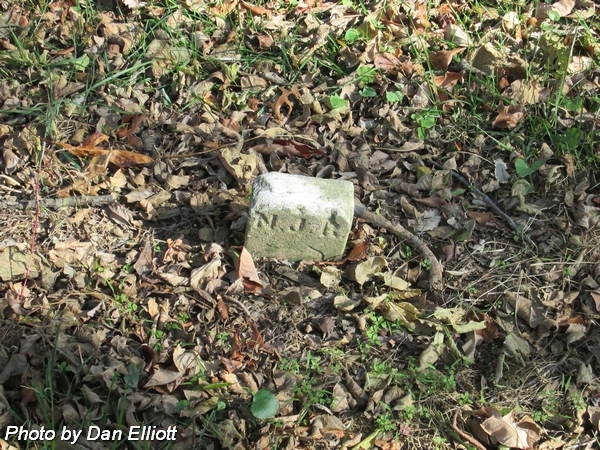 Aged: ? yrs 8 mos. 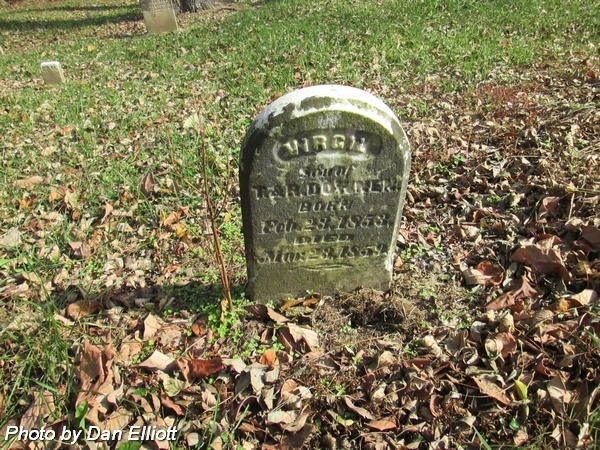 Daughter of George Tilman & Anna (Owens) Givens Downen. 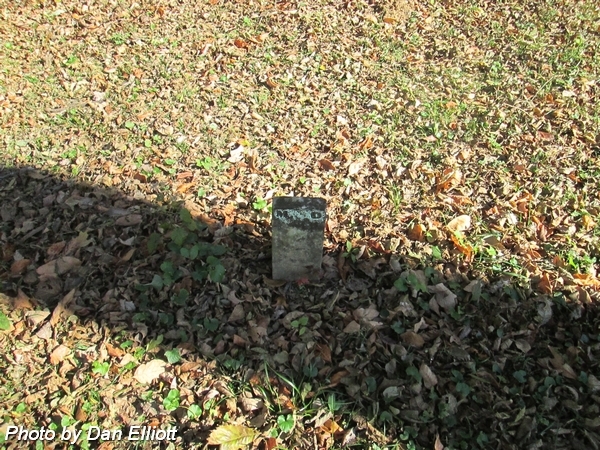 Note: Surname was miscarved on the stone. nee Mills. Wife of Timothy Downen. 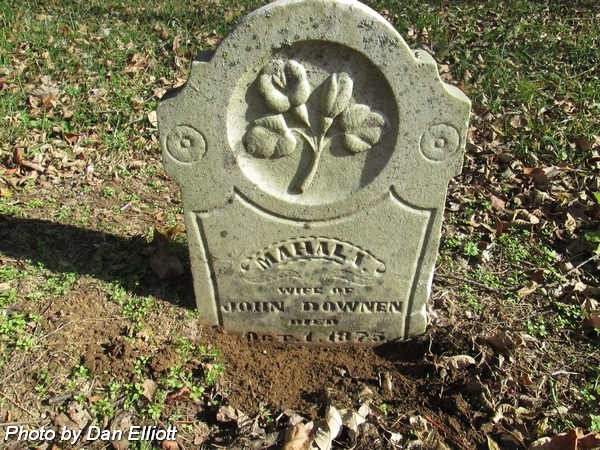 Married 1 Mar 1849. 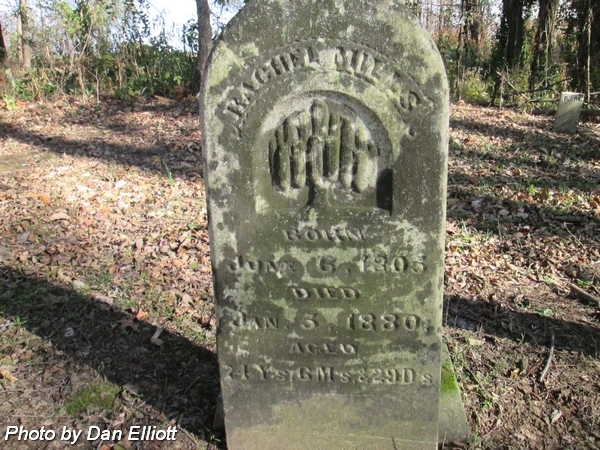 Daughter of Felix J & Rachel (Owens) Mills. 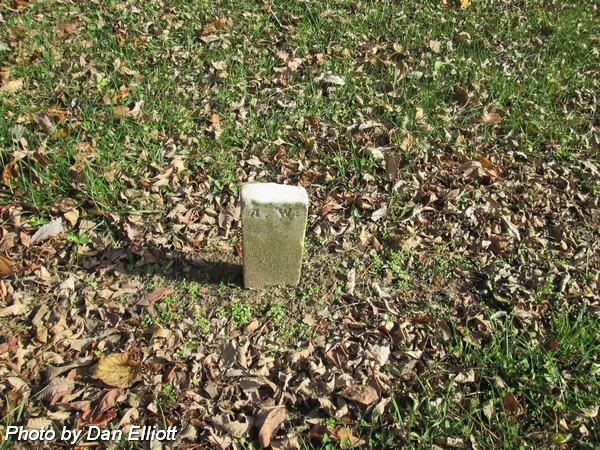 Note: Broken stone was previously repaired, but is once again broken in two pieces. nee Stephens. 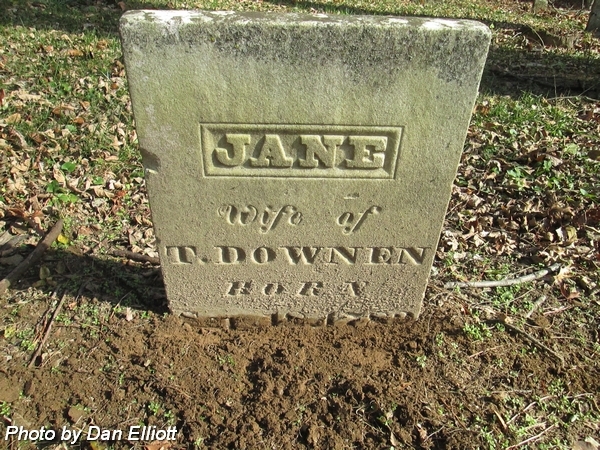 First wife of John Downen. 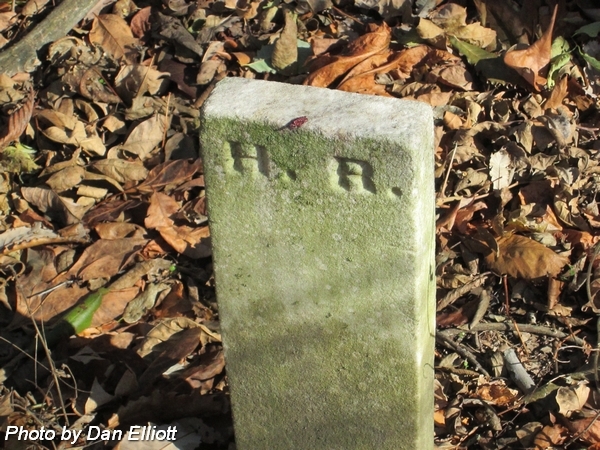 Married 21 Nov 1833. 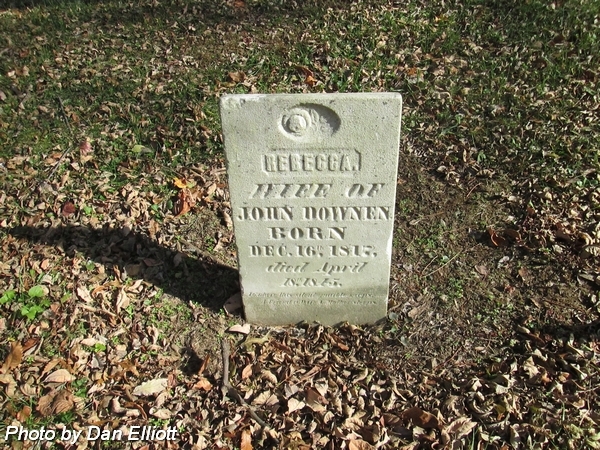 Husband of Jane Lacey (Brice) Downen. 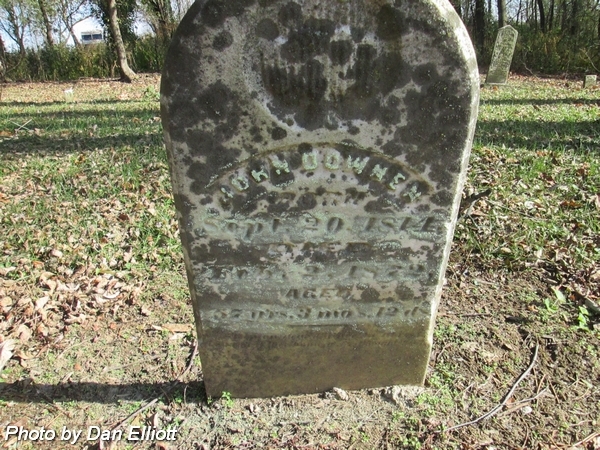 Son of Josiah & Mary Elizabeth (Smith) Downen. 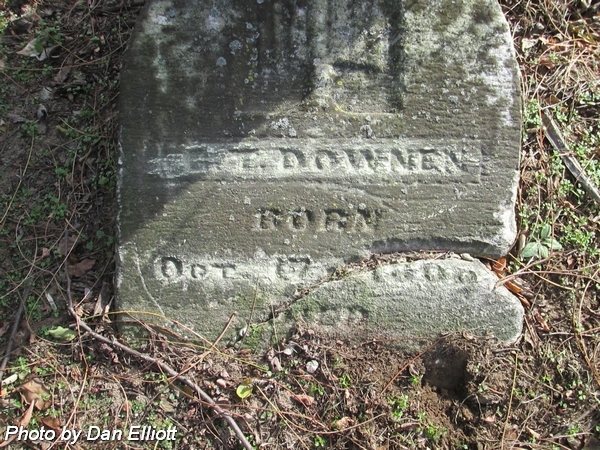 Son of Timothy & Rachel (Mills) Downen. Daughter of Daniel & Mary (Ridenour) Duty. 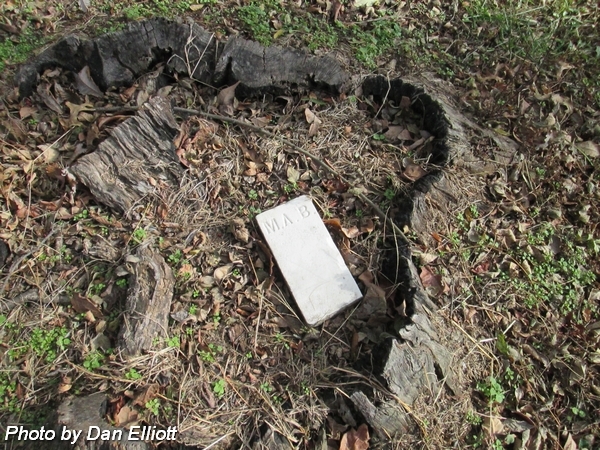 Note: Tree is beginning to grow around this stone. 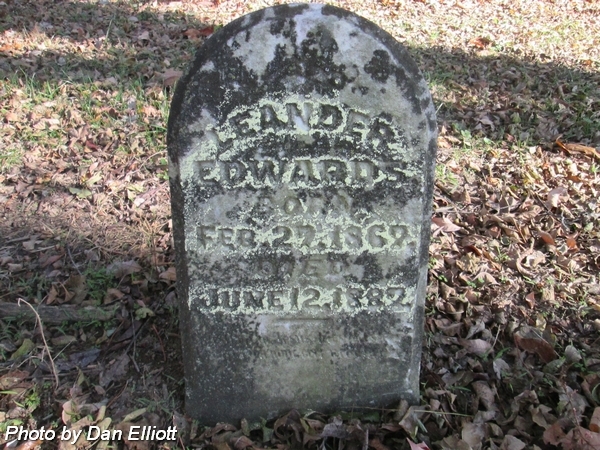 Husband of Mary (McKinnis) Edwards, 1st, married 3 May 1837; Mary (Cross) Edwards, 2nd, married 3 Jul 1847; & second husband of Esther (Downen) Grant Edwards Crunk, 3rd, 9 Nov 1864. 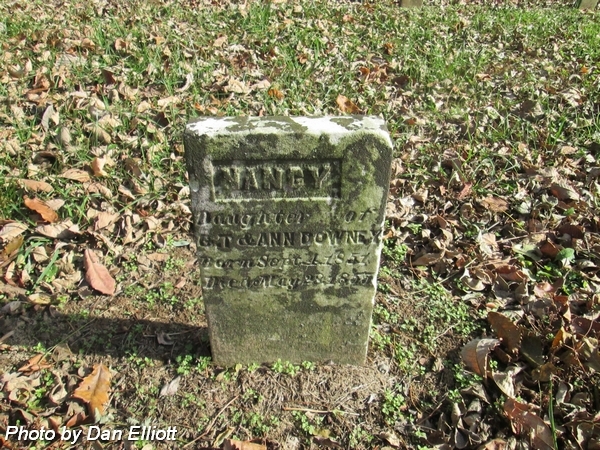 Son of William & Mary T (Downen) Edwards. 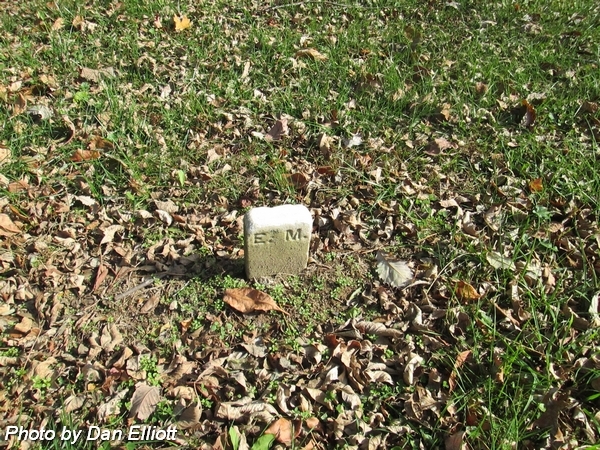 Note: Not sure if this is her stone. Broken piece could not safely be turned over to read. 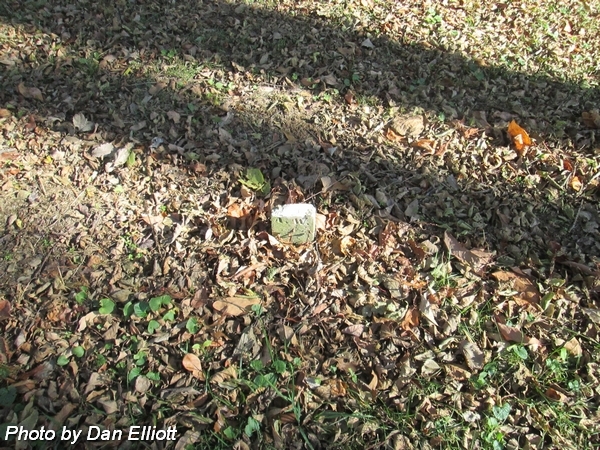 This burial is immediately to the north side of Rachel (Owens) Mills. 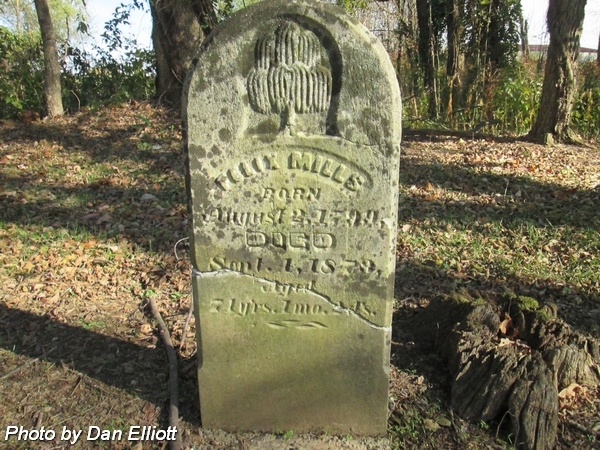 Husband of Rachel (Owens) Mills. Married 18 Mar 1819. 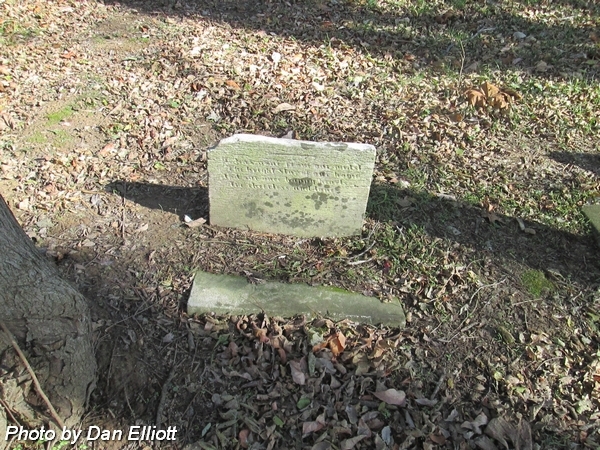 Son of David Alexander & Mary Ann "Polly" (Summers) Mills. Aged: 74 y'rs. 1 mo. 2 d's. nee Owens. 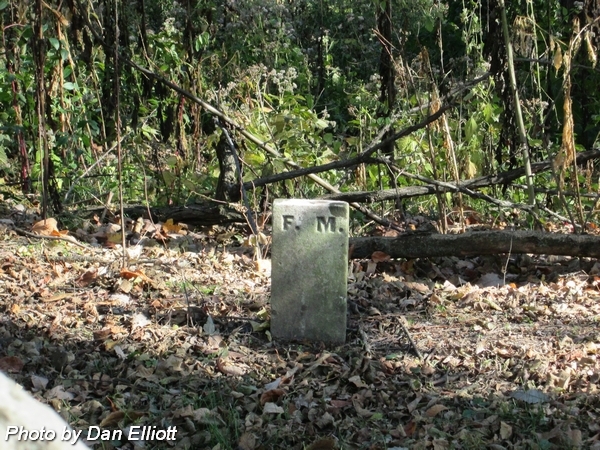 Wife of Felix J Mills. Married 18 Mar 1819. 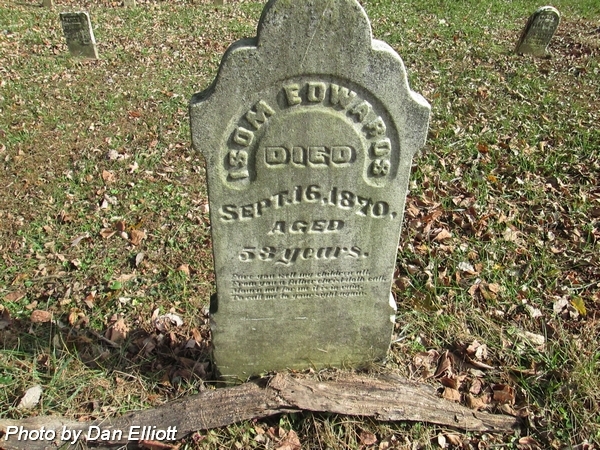 Daughter of Thomas & Elizabeth (Rogers) Owens. Aged: 74 Y's 6 M's & 29 D's. nee Downen. 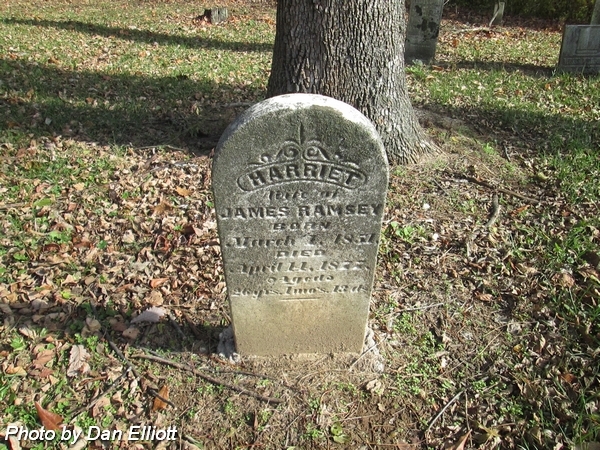 Wife of James T Edwards, 1st, married 30 Jan 1867; & James M Ramsey, 2nd, married 13 Mar 1873. Aged: 26 y'rs. 1 mo's. 13 ds. 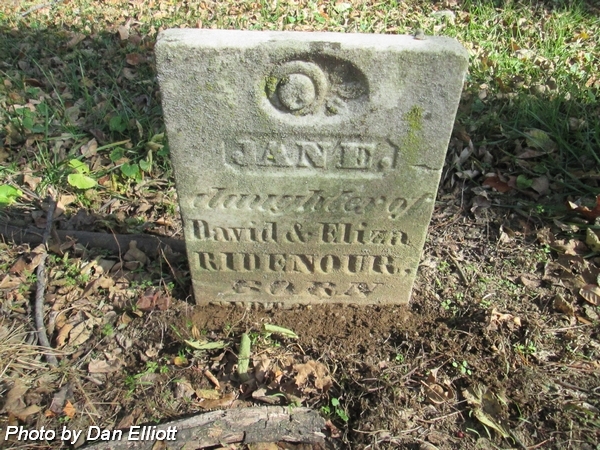 Daughter of David & Eliza (Downen) Ridenour. 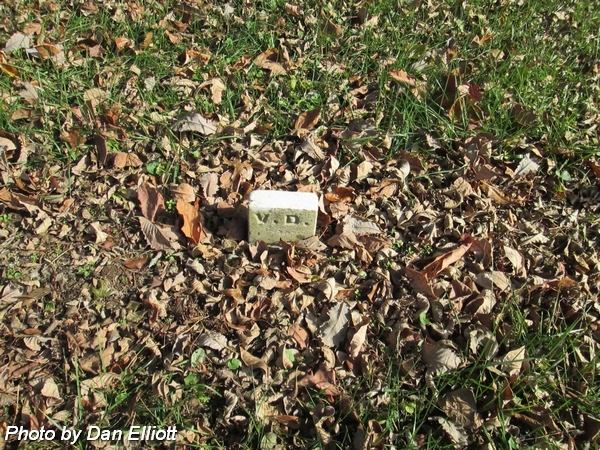 Note: Stone has been reset in a concrete base and dates can't be read. 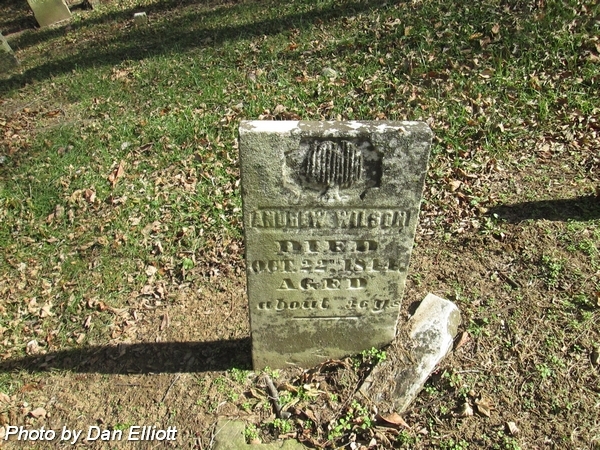 Husband of Deborah (Chipman) Welborn. 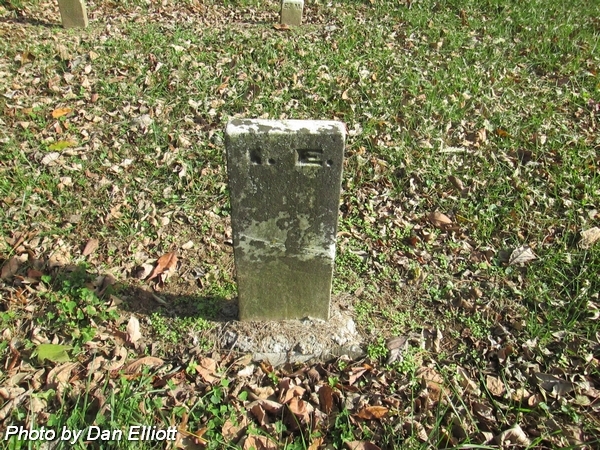 Married 25 Jan 1807 in Rowan County, North Carolina. 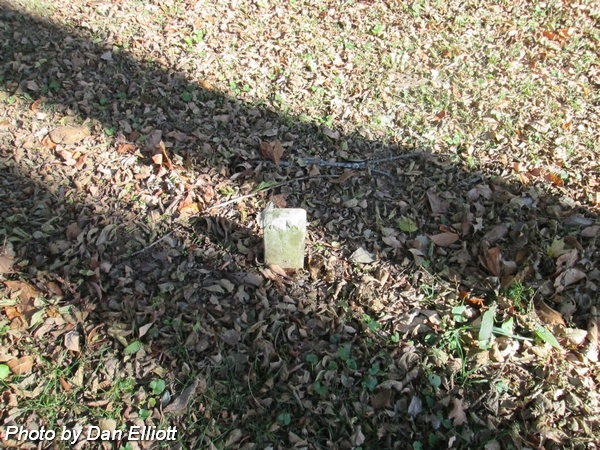 Son of James & Isabelle (Teague) Welborn. 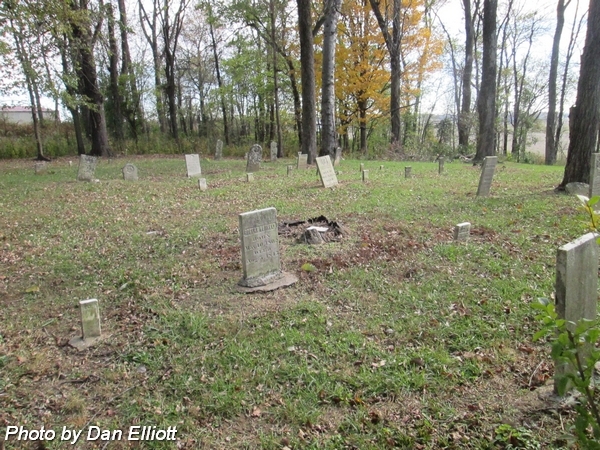 Note: Some have reported that his wife is buried here. 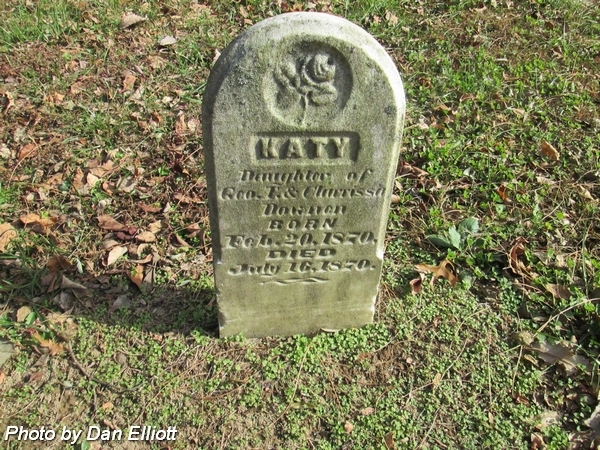 However, others report that she died in Pilot Point, Denton, Texas. 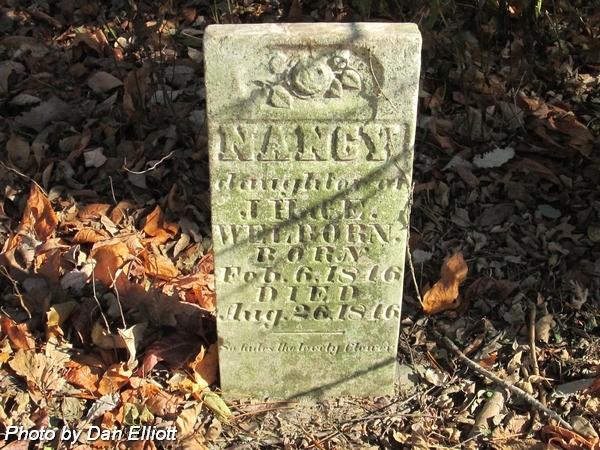 Daughter of James Henry & Eliza (Gambrel) Welborn. 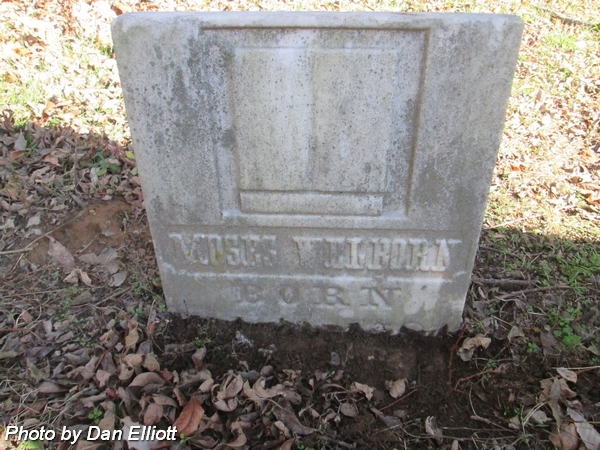 First husband of Mahala (Ohda) Wilson Downen. 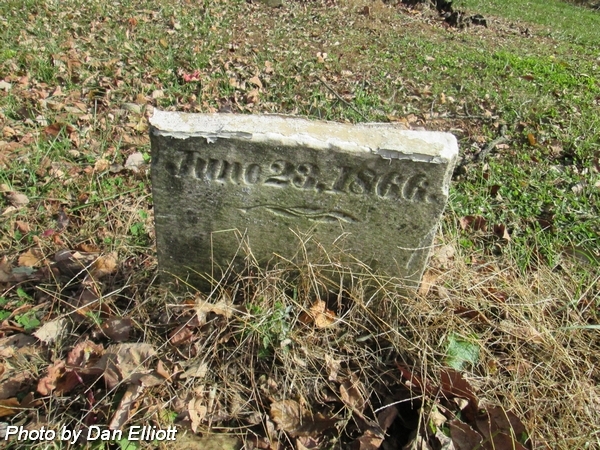 Married 7 Aug 1834. 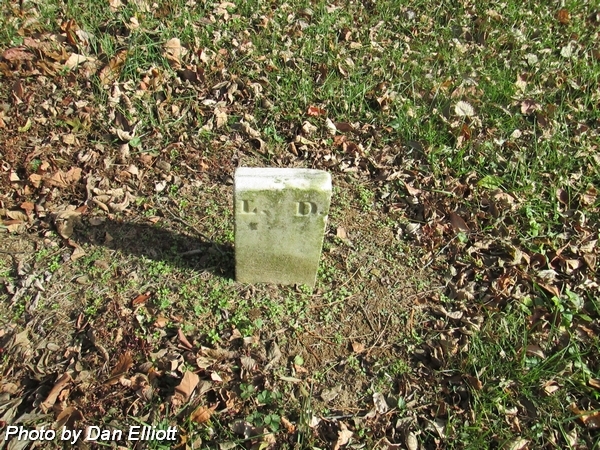 Son of David R & Lucretia (Downen) Wilson.